The 5 mice that I have chosen for the budget selection are all from the basic end of the gaming mice spectrum. I have limited the selection to brands that should be known to everyone. The way you will know what to expect in terms of build quality and performance. Yes there are many alternatives at this end of the spectrum, build quality can easily suffer, but you shouldn't have to. The G300s is the oddball in this selection of five. 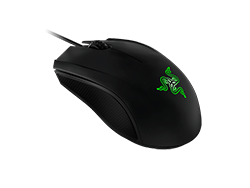 It offers the mouse buttons and the most customisation with 9 programmable buttons, an optical sensor that tops out at 2500dpi. It too has a 1ms response time and is configured through the Logitech Gaming Software. 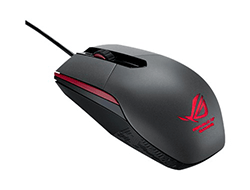 The ROG Sica is an ambidextrous mouse that sports an optical sensor that max's out at 5000dpi. Like any good gaming mouse these days it has a 1ms response time and is configurable through the Asus Armoury Software. The ROG Sica has a neat trick, you can change the Primary left and right mouse button switches. The Rival 100 is the newest of all five mice. It has a custom PixArt optical sensor (3059-SS) with 4000cpi, 1ms response time and 6 programmable buttons in an ambidextrous design. 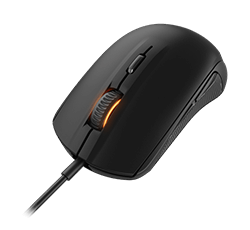 The mouse is managed in the SteelSeries Engine 3 software which happens the be one of the most user-friendly configuration software implementations currently available. The Rival 100 comes in 7 different colours and has RGB lighting. The LUA is a clean design that has 4 buttons and an ambidextrous shape. 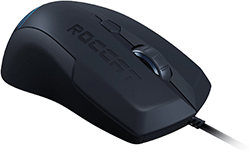 It like all of the previous mice has an optical sensor with 2000dpi (7 steps in dpi adjustment) and 1ms response time. The LUA does not come with any customisation software, just drivers.